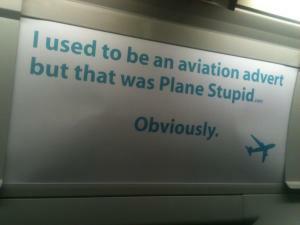 Gatwick | Plane Stupid - bringing the aviation industry back down to earth! After a week in which we learnt that all the Gatwick bidders wanted a second runway we learn that none of them can even afford to buy the airport. Gatwick has turned into a 2-bed flat in Streatham, with buyers lying to get a mortgage and the owner hinting at conservatories and loft extensions. Which presumably makes the credit rating agency, Standards and Poor's, a bit like the credit crunch in this over-stretched metaphor, shaking the property ladder and laughing as your chain collapses under the weight of its own bluster. They've refused to give any of the bidders an appropriate credit rating if they borrow more than £800 million - half of the airport's already reduced cost. Just last summer Gatwick was meant to cost £2 billion, but it's now down to £1.6 billion; today's news means it's likely to sell for even less. BAA is clearly unhappy and trying to talk up the value; hence last week's scare stories about more runway potential. Returning to our metaphor, BAA wants buyers to think that Gatwick is a real fixer-upper, despite being poorly served by transport links and probably suffering from subsidence. An airport which can expand is worth more than one which can't, but it's worth nothing if your buyers can't afford it. S&P doesn't think much of these bids: one was described as "an aggressive financial risk profile characterised by relatively high debt leverage as demonstrated by an opening debt/RAB ratio of 54pc". I have no idea what that means, but it doesn't sound very good. 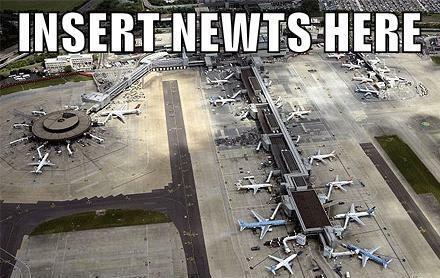 Perhaps now is a good time to remind BAA that Plane Stupid is happy to buy the airport, and that we'll close it and turn it into a newt sanctuary. Stopping all those flights is worth a fortune in carbon credits, and we'll give all the airport's staff jobs looking after our amphibian friends. BAA, if you're listening, just give us a call. Newts are cute and deserve a new home. The uber-capitalists at the Competition Commission have given their final verdict: BAA is to be forced to sell Gatwick, Edinburgh and Stansted. The Commission wants to see more competition, by which it means more expansion at every airport. But how will the credit crunch impact on potential buyers? Who cares: Plane Stupid is offering to buy the airport and turn it into a newt sanctuary. You might think that we don't have anything like the money needed to buy an airport - and on the surface of it you'd be right. But thanks to the wonders of venture capitalism and carbon trading, we've been able to concoct a marvellous scheme which should bring in the bucks. 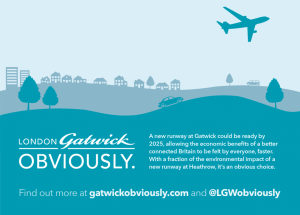 Gatwick emits millions of tonnes of CO2: 5 million annually, to be precise. Each tonne retails for $20 dollars or so, if it hits the Government's 'gold standard', so that's one hundred million dollars a year. Isn't free-market capitalism great? 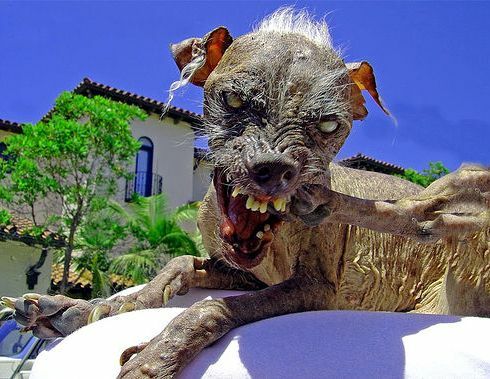 Just when BAA was enjoying a few months of rest, after an annus horribilus which saw protestors against Heathrow's expansion sitting on planes, squatting their car park and prancing about on Parliament, along comes the Competition Commission demanding the airport operator sell two London airports ASAP. Normally I'd be rolling about laughing, except that I made sure to read the fine print. One of the reasons the Commission wants BAA to split up is... it didn't expand airports fast enough. Apparently BAA should have issued a legal challenge against the cap on Gatwick expanding, as well as been more aggressive at Stansted. 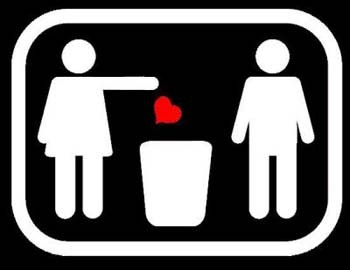 Another day, another blow for BAA. After months of speculation, the Competition Commission has indicated that BAA might have to sell off Gatwick to break up their monopoly over London's airports. While the papers are taking great delight in kicking BAA while it's down, I'm getting worried. Could splitting up the monopoly lead to more airport expansion? According to the Evening Standard, the Commission condemned "A 'short-term and reactive' approach to airport expansion. Major decisions about infrastructure have 'generally been too late to meet demand'." If that wasn't enough to worry you, try this accusation: "BAA managers have also too easily given commitments not to expand further at an airport and abdicated responsibility to government for strategic planning."